scheme was the first thing that caught her attention because blue is her favourite colour. “It looked so cute and it was love at first sight,” Diane said. It seems she was destined to own this van because it had been built not far from her then-home in south-east Sydney. 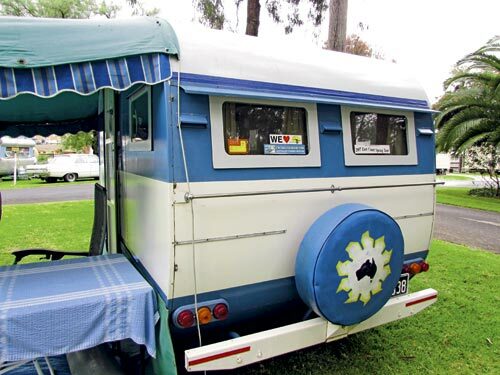 The caravan was one of three built in the early 1950s by Ken Harley in Hurstville. This particular van was completed in 1956 and was used for annual family summer holidays at Kiama. 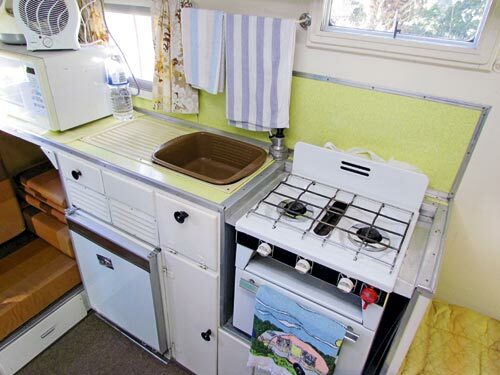 In the late 1970s, Ken made some changes to the caravan, installing a new fridge, oven, and electric brakes. 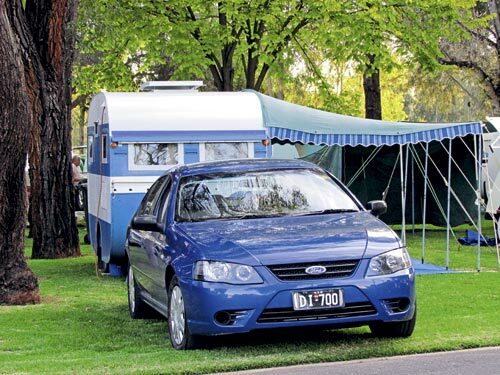 At this point, the sides, front and rear of the caravan were covered with an aluminium skin. The blue and white colour scheme possibly also comes from that time. 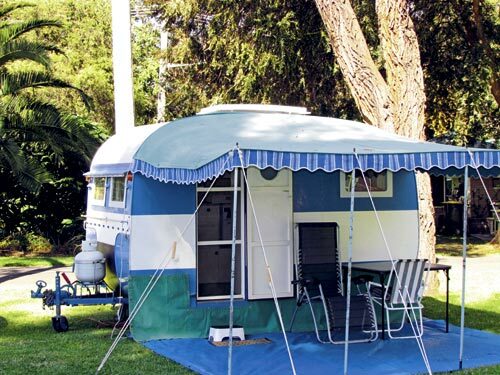 The second generation of the Harley family then used the caravan with their children into the 1980s. 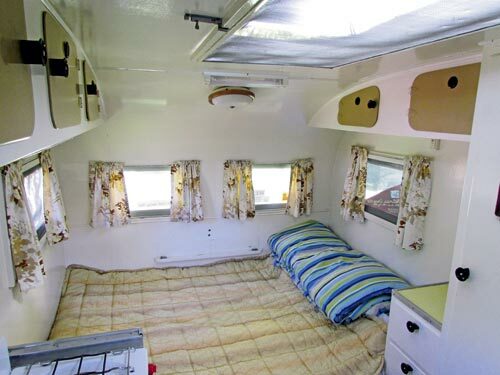 After Ken died, the caravan was kept in a garage for 15 years until the family decided to sell it. Everything had been left undisturbed for so long that it took the family three days to get the garage doors open and the caravan removed. 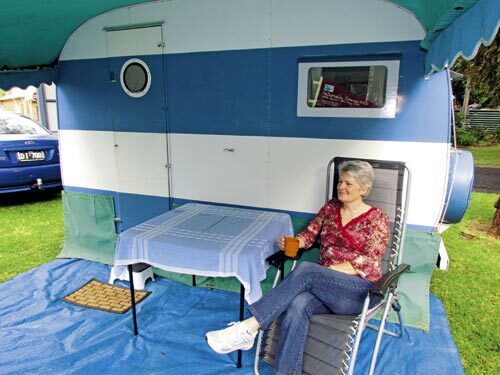 Despite the changes made to the caravan over the years, both the exterior and interior retain a 1950s look. 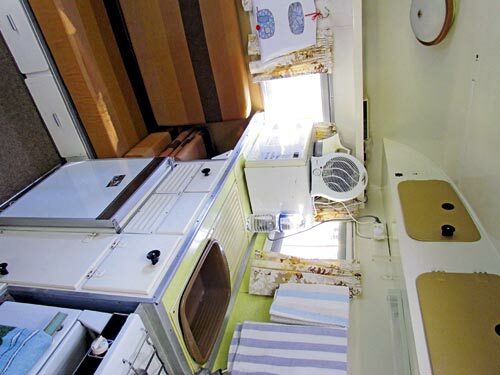 Inside, the curved doors on the overhead cupboards, the black melamine cupboard door knobs, and the lemon-coloured Laminex in the kitchen all speak of another era.